Commonwealth Of Pennsylvania. THE PENNSYLVANIA MANUAL Volume 91 1953-54. Commonwealth Of Pennsylvania. THE PENNSYLVANIA MANUAL Volume 90 1951-52. MARTIN, Samuel. A Funeral Sermon, preached at Donegal Meeting House, Lancaster County, on the Death of Rev. William Kerr. We can help you find the pennsylvania history books you are looking for. As the world's largest independent marketplace for new, used and rare books, you always get the best in service and value when you buy from Biblio.com, and all of your purchases are backed by our return guarantee. This is Volume 1 (I haven't seen Volume 2 online yet). Fiske tells a delightful and informative series of stories and provides authoritative historical framework, for the development of New York. Volume 1 deals almost entirely with Dutch lore. Highly recommended for anyone with interest in New York. Philadelphia: Printed for the Committee, 1846. Paperback. Very Good -. 30 p.; 22 cm. Disbound from a volume of unrelated 19th-century pamphlets. "13" in ink at upper right-hand corner of title page. Printed by the United States Book and Job Printing Office, Philadelphia. John Meredith Read (1797-1874) was a Philadelphia lawyer who served in the Pennsylvania legislature and as Philadelphia's city solicitor. He became U.S. district attorney of the eastern district of Pennsylvania in 1837 and sat on the state supreme court from 1858 to 1874. In 1846 the Pennsylvania Railroad was incorporated and began to seek subscribers to its stock. At a public meeting, a resolution was adopted recommending that Philadelphia and other municipalities in the state become subscribers, which would require that taxes be levied to cover the costs. The opinion of John M. Read was requested by Andrew Miller, Evans Rogers, and Clement C. Biddle, of the Philadelphia Saving Fund Society, regarding whether the city could be authorized to purchase stock in the railroad. Here Read explains why he was of the opinion that the city did not have the authority to buy railroad stock nor to raise a tax for cover such a loan. He also argued that "such powers were impolitic, inexpedient and dangerous to be vest in a municipal body." The appendix contains data on the state of the city and county finances at that time. Very scarce. In Very Good- Condition: first leaf detached but present; title page is foxed; otherwise, clean and tight. Lebanon PA: Lebanon County Historical Society, 1962. Vol XIII, No 4. Diary kept while serving in the Civil War. Staining from water.. First. Paperback, Stapled. Poor/No Jacket. 8vo - over 7¾" - 9¾" tall. Philadelphia: James Kay, Jun., & Brother, 1854. Hardcover. Very Good -. "Including All the Required Forms of Process and Docket-Entries, and Embodying not Only Whatever May be Deemed Valuable to Justices of the Peace, But to Landlords, Tenants, and General Agents; and Making this Volume, What it Purports to be, A Safe Legal Guide for Business Men." 720, 36 p.; 25 cm. Contemporary full calf with five spine compartments between raised bands. Lacking original labels from second and fourth compartments. Catalogue of the National Pennsylvania Law Publications of Kay & Brother, Law Booksellers and Publishers, 1853 on 36 p. following text. John Binns (1772-1860) was born in Ireland and by 1807 had arrived in Philadelphia, where he was a journalist and served as an alderman of the city from 1822 to 1844. In Very Good- Condition: lacking spine labels; leather is rubbed; front joint just starting at each end; foxing; table of contents is partially detached; otherwise clean and solid. A scarce edition of this 19th-century American legal work. Pennsylvania: E. Guyer, Harrisburg. Very Good with no dust jacket. 1839. First Edition; First Impression. Leather Bound. Rebound in 3/4 leather, marbled inset on covers, Gilt embossed titles, parchment end papers. Excellent rebinding work with handsome results. Contents has foxing due to age otherwise clean and tight. Also contains the laws, adjudications, forms of docket entries, process and practice relative to thier jurisdictions and its Exercise, in Civil Cases. Two vols in one. Vol 1 of Justices Criminal Jurisdiction, Vol 2 of Justices Civil Jurisdiction. Scarce if not rare in this condition. ; 8vo 8" - 9" tall; 368 pages . Philadelphia: Friends of Nicholas More, 1988. Paperback. Near Fine. Second Printing June, 1988; Revised. 14,  p.: illustrations; 22 cm. Stapled; front wrapper included in pagination. Wrapper title: Program Notes for Early Life on the Philadelphia Riverfront Charter Day 1988. Preface is signed by Charles E. Peterson, convenor. Four archeological digs in Society Hill were discussed by Susan Gray Detweiler, Beatrice B. Garvan, and John Milley. Includes a bibliography. Very scarce. In Near Fine Condition: wrapper very slightly soiled; otherwise, clean and bright. West Chester PA: Chester County Historical Society. Very Good with no dust jacket. Newspaper. We fit archival quality clear acrylic covers for additional protection whenever possible. ; Photographs; 4to 11" - 13" tall; Not counted are a couple of miscellaneous items. .
Philadelphia: Horace Mayer Co., Printers, 1932. Hardcover. Very Good +. 311 p., 3 leaves of plates (including portraits of Edwin R. Cox, President of City Council, and J. Hampton Moore, Mayor of Philadelphia) and 2-page ward map of the city attached at the front gutter; 14 cm. Blue cloth with yellow cover title "Manual of Council" and yellow illustration of the Liberty Bell on the back cover. In Very Good+ Condition: slightly cocked; one leaf creased; clean and tight. [Washington, 1800]. 8vo. 21 pp.. Concerns compensation for losses suffered during the Whiskey Rebellion of 1794. Includes lists (pp. 619) of property belonging to Benjamin Wells, John Nevill, Charles Reno, George Fowler, Philip Regan, Bezl. Howe, and William Cochran that were destroyed by the insurgents, with estimates of their value. Also contains a statement of the amount of money appropriated by Congress for the relief of those who sustained losses and the apportionment of these funds by the commissioners appointed to ascertain damages. Evans 38762. Removed from a nonce volume. Lightly pencilled librarian's notation on title-page. Fold mark on lower right corner of title-page. Very good. Harrisburg: J.M.G. Lescure, printer to the state, 1850. Good -. 1 leaf 23 x 16 cm. Printed on one side only, within decorative border. Disbound from a volume of unrelated 19th-century pamphlets. The rules specified the payment of pensions and gratuitites to veterans of the Revolutionary and Indian wars or their widows. Very scarce. In Good- Condition: lacking lower left-hand corner, without impact on text; one vertical and one horizontal fold; partially separated along each fold in lower part of leaf with minor impact on text; small chip at lower edge, with no impact on printing; light foxing in upper part of leaf. Philadelphia: MOVE, 1992. 59p. including photos, worn wraps. On MOVE's history and confrontations with the Philadelphia police. Boston: R. Herndon Co, 1901. Hardcover. Good +. Introduction by William T. Harris. xii, 491 p., frontispiece and one leaf of a plate: many full-page and in-text illustrations; 31 cm. Half calf with six spine compartments between raised bands and gilt-tooled spine title. Dark brown morocco-grain cloth over boards with gilt-tooled cover title and emblem. All page edges gilt. Marbled endpapers. Title page in red and black. Includes indices. Part of a series by the publisher called Universities and Their Sons; editor in chief Joshua L. Chamberlain. The majority of the book consists of biographical sketches and portraits of the founders and alumni. A heavy book; for international shipping, it will have to be sent by priority international. In Good+ Condition: leather is rubbed; some loss at ends of spine; internally clean and bright. Millersville, PA: Millersville Senior Class, 1902. 128 pp. Purple board with gold lettering and symbol on front cover. Pages slightly loose, but attached. Depicts life at Millersville Normal School, (Now Millersville University,) in 1902. Good pictures of buildings. Names of the 1902 graduates and the faculty members. Includes a group photo of the graduates.. Cloth. Fair/None. 12mo - over 6¾" - 7¾" tall. [Lancaster, PA, 1797. , [2 blanks], [1- docket, with Governor Mifflin's signature approving the petition]. Manuscript petition, written in ink on a single page, with the names and signatures of ten townspeople endorsing the petition. One leaf. Old folds with a few short splits but Very Good. Elizabeth Hyton was convicted of horse stealing "on the last Monday of February Anno Domini 1797." Governor Mifflin pardoned her on March 27, 1797, when her one-month jail sentence expired. Fortunately for Elizabeth and her impoverished family, Pennsylvania did not consider horse theft a capital crime, unlike some States. In 1786 Pennsylvania became the first State to adopt discretionary terms of hard labor and imprisonment for felony offenses, and to delegate to judges rather than juries the authority to determine the sentence. "The frequency with which felons were pardoned may be surprising to those familiar with modern clemency practices. Pardon and benefit of clergy were alternative and ameliorative features of what was otherwise a horribly draconian penal system." King, 'The Origins of Felony Jury Sentencing in the U.S.' 78 Chicago-Kent Law Review No. 3, pages 937, 949  [noting the dramatic rise in pardons for horse-stealing in 18th century Virginia, when it was rendered a capital crime]. Bethlehem, Pa: Bethlehem Steel Co, 1936. Hardcover. Very Good. 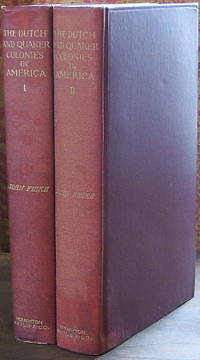 369,  p.: illustrations (including 2 color charts of heat and temper colors), tables; 23 cm. Dark green morocco-grain cloth with gilt-embossed spine and cover titles: "Bethlehem Alloy Steels." All page edges gilt. "Bodin" written at upper corner of title page. More than a catalog, this volume includes some history of the Bethlehem Steel Co. and its predecessor, the Bethlehem Iron Co.; many photographs of the plant and of steel production; heavily illustrated explanations of steel production and grading; and definitions of terms used in the steel industry. In Very Good Condition: a few pages are scraped near the edges; otherwise, clean and bright. Philadelphia: Printed by James Kay, Jun. & Brother, 1837. Near Fine. p.: 1 in-text illustration; 29 cm. Disbound from a larger volume. Robert Hare (1781-1858), an American chemist, was a professor of chemistry at the University of Pennsylvania and was elected an Associate Fellow of the American Academy of Arts and Sciences in 1824. Here he presents his conclusions regarding an unusual phenomenon brought to his attention by "Mr Haydock, a respectable and intelligent plumber" of Philadelphia. In Near Fine Condition: disbound from a larger volume; clean and bright. Drexel Hill, Pa: School of the Holy Child Jesus, 1940. Paperback. Very Good +. p.: illustrations; 26 cm. Stapled wrappers with brown embossed emblem of the School of the Holy Child Jesus, Drexel, on the front wrapper. The school was established by the Sisters of the Holy Child in 1865 in Sharon Hill, Pa., and expanded to Drexel Hill in 1927. The Drexel Hill school is now Holy Child Academy. This booklet was produced for a fundraising card party held in 1940 at the Benjamin Franklin Hotel, Philadelphia. It contains many advertisements for businesses in Philadelphia and the western suburbs, as well as photographs of students of the school. In Very Good+ Condition: wrapper is slightly browned along edges and very slightly soiled; pages are clean and tight. Philadelphia: J. Crissy, printer, 1843. Paperback. Very Good. 15 p.; 22 cm. Disbound from a volume of unrelated 19th-century pamphlets. The commissioners of the Spring Garden district (before it became part of the city of Philadelphia) sought to be allowed to construct a waterworks on the Schuylkill River, although under the current arrangement the city provided Spring Garden with water through its charter with the Schuylkill Navigation Company. Philadelphia attornies William M. Meredith and Horace Binney provide their opinions that such a bill would infringe the rights of the city. William Morris Meredith (1799-1873) served in the Pennsylvania legislature from 1824 to 1828; was president of the Philadelphia City Council from 1834 to 1849; was U.S. attorney for the eastern district of Pennsylvania from 1841 to 1845; and was U.S. Secretary of the Treasury in 1848 and 1850. Horace Binney (1780-1875) served in the Pennsylvania legislature in 1806 and 1807, and in the U.S. House of Representatives from 1833 to 1835. Very scarce. In Very Good Condition: disbound; light foxing; otherwise, clean and tight. Spring Grove, Pa: P.H. Glatfelter Co, 1939. Paperback. Good +. 19,  p., 1 folded leaf: illustrations; 31 cm. Illustrated wrapper printed in red and black. Wrapper is included in pagination. Printed in red and black throughout. Folded leaf off of back wrapper contains illustrated papermaking flow chart. The Glatfelter company, based in York, Pa., has been producing paper for over 150 years. This explanation of papermaking is well-illustrated with photographs of the Glatfelter plant. Scarce. In Good+ Condition: wrapper is lightly soiled and sunned along edges; small stains at lower edges of wrapper and at lower corner of pages; lacking lower corner of front wrapper; otherwise, pages are clean and tight. Philadelphia: s.n., 1850. Pamphlet. Very Good -. 8 p.; 21 cm. Disbound from a volume of unrelated 19th-century pamphlets. "24" in ink at upper right-hand corner of first page. Caption title. Charles Jared Ingersoll (1782-1862) was a prominent lawyer in Philadelphia. In this opinion he argues that the city of Philadelphia did not have the authority to extend the railroad over the Schuylkill River on the existing Market Street bridge. The city nevertheless used the existing Permanent Bridge to bring the railroad across the river to the city. Very scarce. In Very Good- Condition: disbound; last leaf is partially detached; minimal foxing; otherwise, clean. Scranton, Pa: Delaware, Lackawanna & Western Railroad, 1901. Paperback. Very Good -. 99,  p., 1 folded color plate: in-text illustrations, tables; 17 cm. Grey cloth spine; brown card covers printed in black. Printed in red and black throughout. The first page indicates that this copy was given to employee no. 2938, who was liable to be charge $0.50 for not returning it when he was no longer an employee. In Very Good- Condition: ends of spine just starting to fray; small scrape on front cover; text block starting to split at pp. 16-17; otherwise, clean and tight. Philadelphia: Horace J. Smith, 1886. Paperback. Good. iv, 54 p., frontispiece, 1 folded map; 24 cm. Original grey wrappers with decorative wrapper title: Lemon Hill and Fairmount Park 1856-1872. The folded map is the 1828 map published by H.S. Tanner, "Plan of the City of Philadelphia and Adjoining Districts Compiled from Original Documents by William Allen. Charles S. Keyser's pamphlet "Lemon Hill in its connection with the Efforts of Our Citizens and Councils to obtain a Public Park" was published in 1856, after the City of Philadelphia had purchased the Lemon Hill estate in 1844 but failed to move forward with a concrete plan to turn it into a public park. Keyser's pamphlet inspire efforts that led to the creation of Fairmount Park. Thomas Chochran's piece "Fairmount Park: A Necessity for the Health and Recreation of the Present and Future Population of the City" was published in the newspapers in 1872 and helped to defeat a movement to reduce the size of the park. In Good Condition: lacking back wrapper; front wrapper detached and with significant loss at edges, but printing is intact; tissue-guarded frontispiece detached, with some loss along edges, not impacting image; text block is solid; pages are clean. Very scarce. Scranton, Pa: Delaware, Lackawanna & Western Railroad, 1901. Paperback. Good -. 16 p.; 18 cm. Black cloth spine; brown card covers printed in black. Contains description of the process for becoming a locomotive fireman of the Delaware, Lackawanna & Western Railroad, along with the 30 questions on the second mechanical examination. No date of publication but matches other similar publications dated 1901. Former owner's name at head of title page: Everett R. Marley. This was Everett R. Marley of Freeland, Pa. In Good- Condition: frayed at ends of spine; pages are heavily soiled. Very scarce. Philadelphia: B. & T. Kite, 1811. Hardcover. Very Good. "With a compendious view of its societies, literary, benevolent, patriotic, & religious, its police--the public buildings--the prison and penetentiary system--institutions, monied and civil--museum." For Sale by B. & T. Kite and Joseph Delaplaine; printed by Jane Aitken. xii, 376 pages,  folded leaf of a plate (frontispiece): tables; 18 cm. Late 20th-century? calf with five spine compartments between gilt rules; red leather label in second compartment with gilt-tooled title. The frontispiece is a view of Philadelphia from Kensington, engraved by J. Seymour. Includes errata, and list of subscribers. Bookplate on front fixed endpaper of the Connecticut Historical Society indicating that it was "Presented by Subscribers for the Patterson Library. 1893." Inscribed at head of title page: "D. Williams Patterson M.D. with the regards of Jno. A. McAllister." John A. McAllister (1822-1896) was an antiquarian collector in Philadelphia. David Williams Patterson (1824-1892) spent two decades working as a dentist before retiring from that occupation and devoting himself to genealogy and history. His extensive collection of manuscripts and books was acquired by the Connecticut Historical Society in 1894. A more recent owner had the book rebound, retaining the original endpapers and repairing the frontispiece, which is lacking the lower left-hand corner but retains most of the image, which is a striking early 19th-century view of the city of Philadelphia. In Very Good Condition: ink on lower page edges; frontispiece repaired, as noted; minimal soiling and foxing internally; otherwise solid and attractive. Harrisburg, Pa: Board of Commissioners for the Second Geological Survey, 1880. Hardcover. Very Good. xvi, 121,  p., frontispiece map of Pennsylvania, 3 folded maps in pocket inside back cover; 22 cm. Black cloth with gilt-stamped spine title: "Penna. Second Geological Survey Potter County." "Second Geological Survey of Pennsylvania: Report of Progress in 1876-9. GGG." -- at head of title page. Folded maps are: Geological Map of Potter County, 1876 (in color) -- Sections in Western Potter County constructed by Chas. A. Ashburner -- Topographical Map of the Gaines Coal Basin from surveys in 1872 by Sanderson Smith. In Very Good Condition: faded spots along upper edges and upper spine; discoloration along upper edges of endpapers; otherwise, clean and tight; folded maps are clean and completely intact. Philadelphia: City of Philadelphia, 1913. Hardcover. Very Good +. Vol. 1 only. , xv, , 267 p.: tables, map, plans, diagrams; 29 cm. Dark green cloth with gilt-stamped spine and cover titles. With: the card of A. Merritt Taylor, Director, Department of City Transit, Philadelphia. Abraham Merritt Taylor (1873-1937) had been named Philadelphia's first director of City Transit in 1912 and produced this plan the following year. During his four years in that position he advocated for expansion of public transportation in order to encourage growth. In 1916, the new mayor replaced Taylor with a more conservative director and the city expanded the rapid transit system to meet existing demand only. During World War I he worked for the Emergency Fleet Corporation to help workers get to shipyards in cities around the country. In Very Good+ Condition: cover is lightly soiled; small faded spot on front cover; light soiling on a few pages; otherwise, clean and tight.